Calling all Edinburgh based barbers! Guy & Beard are opening soon in Edinburgh! We are looking for experienced and talented barbers to work full time in our new Edinburgh based barbers that share our genuine passion for barbering. Guy & Beard Ltd are looking for experienced and talented barbers to work full time at our new Edinburgh shop opening soon. Guy & Beard is an award winning group of barber shops in Glasgow. We currently have 3 shops in high footfall locations. Each shop maintains its own personality and atmosphere but the ethos has remained the same; delivering high quality barbering services in a unique, comfortable and relaxed environment. 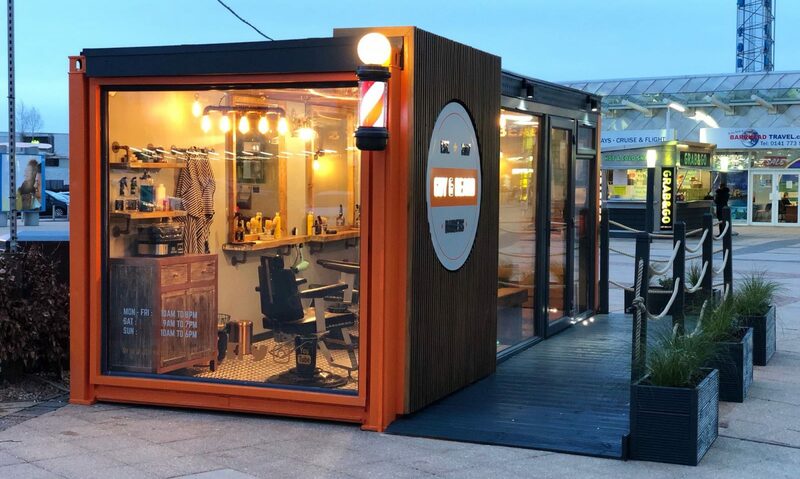 Guy & Beard is an exciting and unique concept, offering barbering services inside up-cycled shipping containers. We are looking for energetic and passionate individuals who will come in and continue to deliver the excellent client service we are renowned for. We have full-time and part-time positions available. Email your updated CV to contact@guyandbeard.co.uk along with recent images of your work or a link to your social media page. Next PostNext Announcing £100 Prize Giveaway celebrating our new store opening at Edinburgh Fountain Park…Enter NOW!